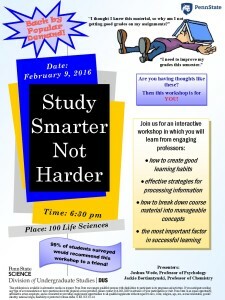 Learn more effective study strategies at this workshop. 99% of students surveyed from a previous session would recommend it to a friend. 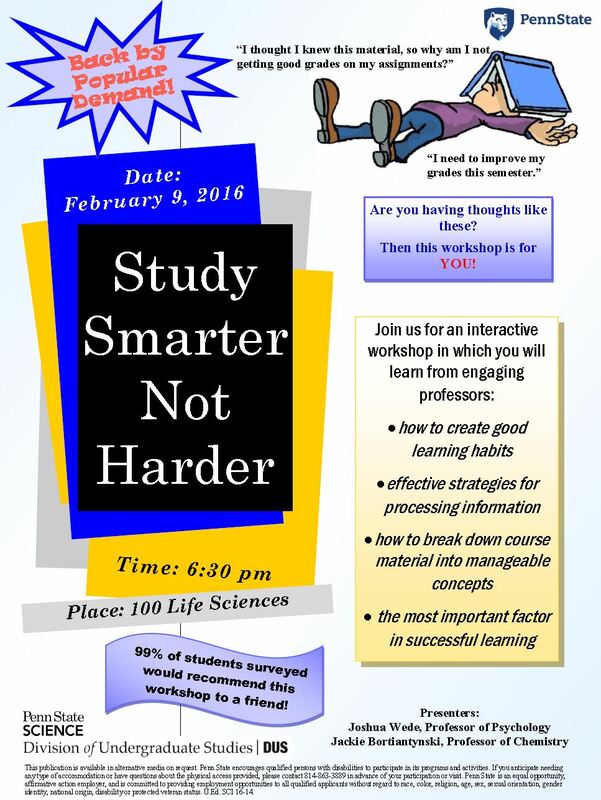 February 9, 2016 at 6:30pm in 100 Life Sciences Building.